Last week we had an awesome event at the Raleigh Madewell and Clyde Oak. Thank you, to all who came out, it was seriously a blast!!! At the event we gave away potted organic lavender plants that were hand chosen by Clyde Oak’s owner, Corey Mason. The whole concept was to give away a plant that would be as functional as beautiful, in to either your home or landscape. For those of you lucky enough to have brought home an organic lavender plant, you might have noticed the hand made recipe that came with it. I wanted to give everyone the recipe as a suggested way to use the lavender. This is a great recipe to bring to any holiday parties this next week. I promise you you won’t regret it! If you saw Corey’s post on homemade African Blue Basil tea you, like us, are beginning to see just how amazing dried herbs can be in cooking, infusions, and teas. 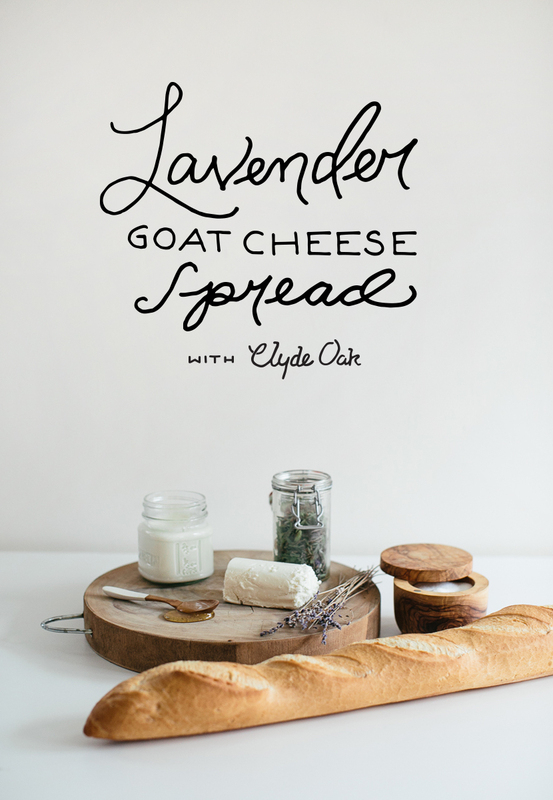 Though lavender in a spread was nothing crazy, we felt it was an easy entry point for almost any new lavender owner. We are strong believers in the beauty of the real and simple. Corey and I had a lot of fun putting this story together. 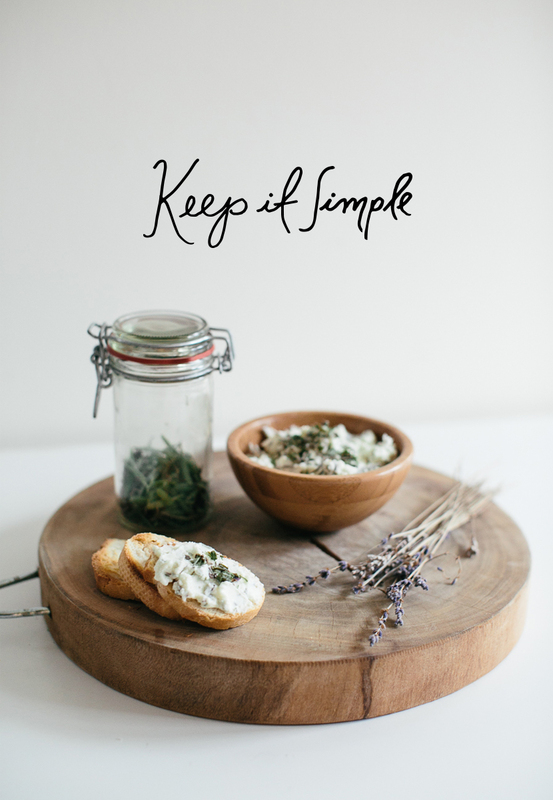 As we began working on recipes we tried to keep to the simple and honest pieces. His focus was on the on the herb, which I had no objection to. 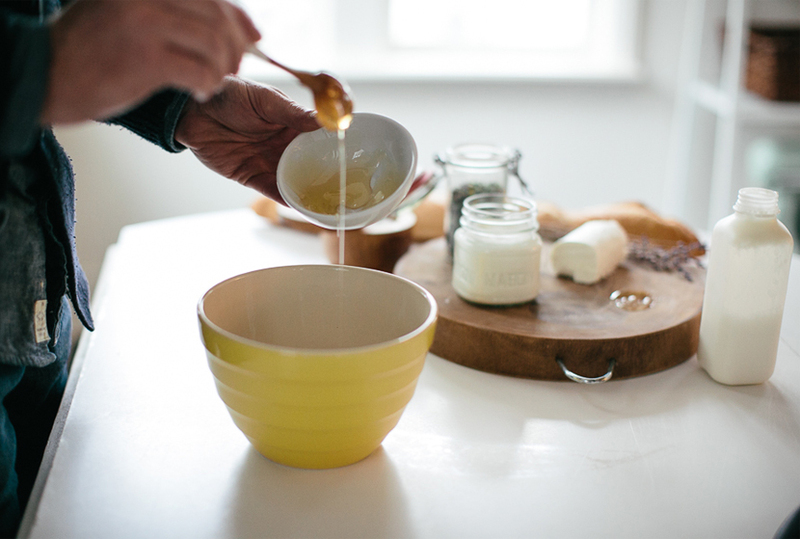 I love the simple beauty of cooking from how honey falls from a spoon, to the trail of dirt that freshly picked veggies leave behind, or the drizzle of cream that accidentally spills on the counter while baking. The imperfections of the process have a beauty not found in perfection. 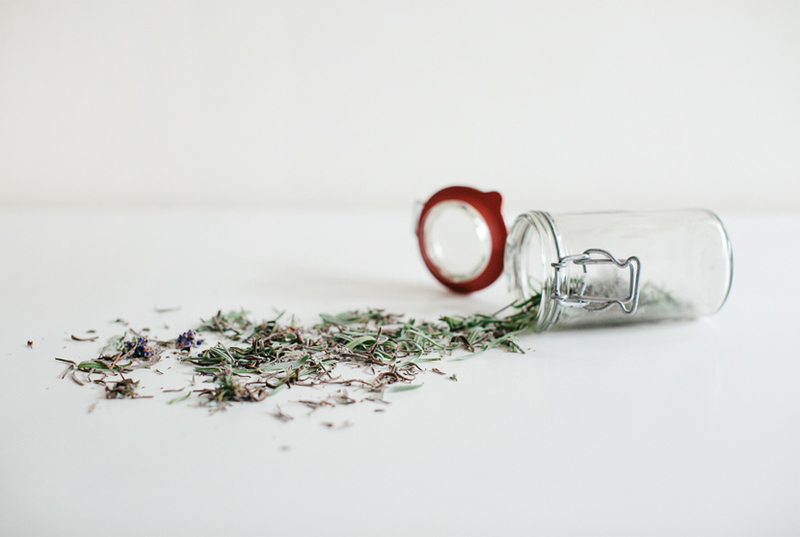 I find myself too often trying to make it all perfect, when the things I love the most are when the lavender jar falls and spills or when the sea salt ends up on the edge of the bowl. Those little things are beautiful. That is why I love this recipe. All the pieces of it are simple, beautiful on their own, but when added together they create a perfectly imperfect snack. Gather your lavender and chop while still fresh. Combine all ingredients together in a bowl. Toast fresh baguette slices and then spread the goat cheese. Garnish with remaining lavender leaves. Enjoy! This sounds fantastic. Wish I’d had the opportunity to swing down by Raleigh for an organic lavender plant :). Oh, this sounds incredible! Thanks for the recipe. I’ve got local honey and dried lavender in the cupboard, so this is perfect! I love this idea! I just bought my boyfriend a goats cheese making kit for christmas as he loves cheese, so I’d love to add a little something extra to it like a hint of fresh lavender.